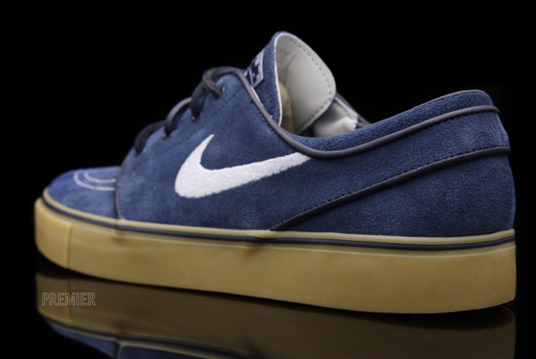 Janoski heads will be treated to this very clean build of the SB Zoom Stefan Janoski later this month. 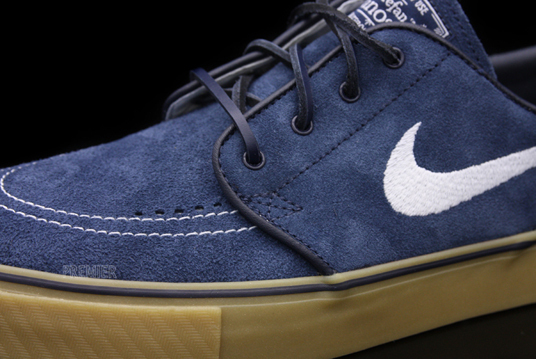 Yesterday we gave you a closer look at most of the January Nike SB Footwear Line-Up. 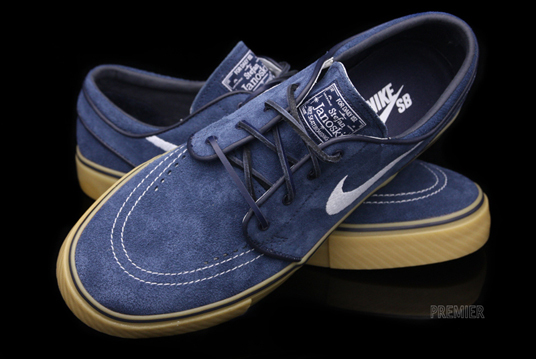 Adding to that, today we bring you a look at this month's release of the SB Zoom Stefan Janoski. Arriving in style yet again, this latest release follows the look of the Zoom Omar Salazar we previewed yesterday, and works with a suede upper and a gum bottom. 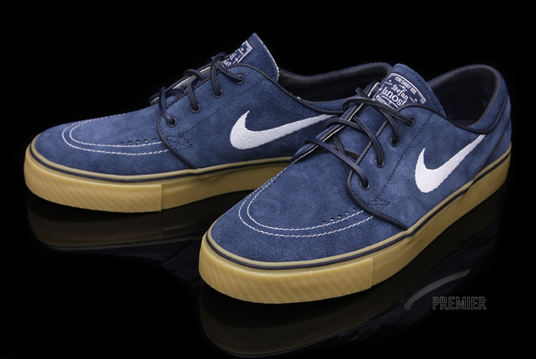 Obsidian covers the entire upper, working with white on the Swoosh, stitching and tongue branding. The vulcanized gum sole sits below, providing for an overall clean look. Look for this latest release of the SB Zoom Stefan Janoski to arrive at your local Nike SB retailers sometime this month.